Holiday | Gainesville FL Realtors & Property Managers. 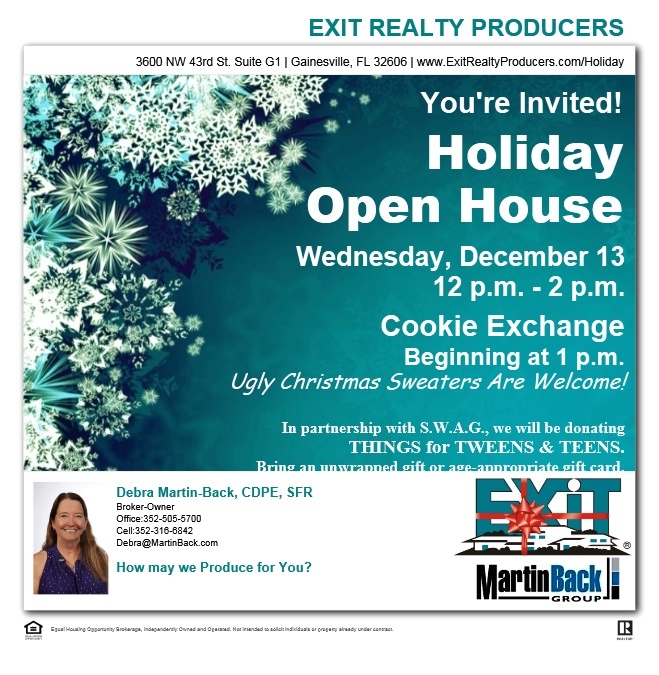 EXIT Realty Producers. 1. Your treats should be homemade. 2. If possible, have a copy of the recipe to give to the other guests. 3. Do not bring cookies that require refrigeration after baking. 4. 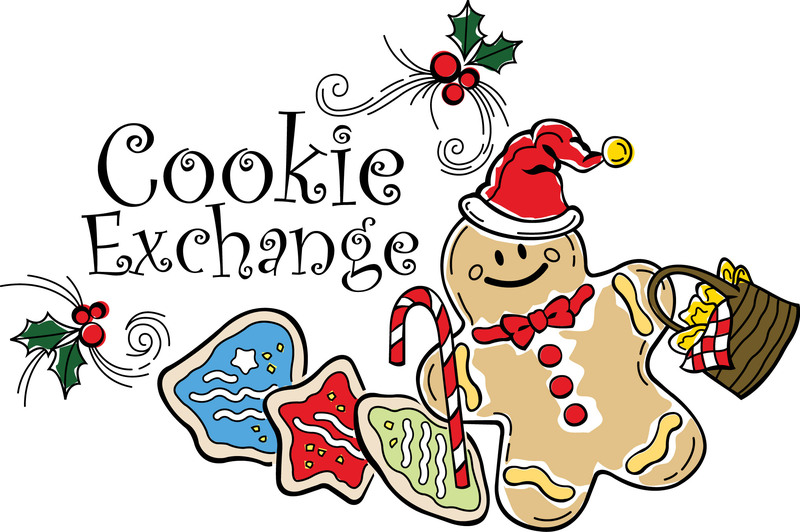 Bring a tray of treats to share and a box, tin, or ziplock bag to take home your new treats. 5. In order to receive cookies, you must bring cookies. 6. You should plan on bringing 1 - 3 dozen cookies. The more you bring, the more you get! GIFT CARDS: Sporting goods stores, the mall, big box stores (Walmart, Target, etc. ), Five Below, movie theaters, book store, hobby stores, dollar store, and fast food restaurants. ELECTRONICS: Ear buds, alarm clocks, MP3 player, camera. ROOM DECOR: Posters, throw pillows, blankets, picture frames.